The mobile gaming industry might be best known for being home to numerous microtransaction-laden, Clash of Clans-like titles but that seems to be changing lately. This week, popular battle royale title Player Unknown's Battlegrounds (PUBG) made a surprise appearance on the Canadian Google Play Store, marking the first official release of the game's mobile port in the west. 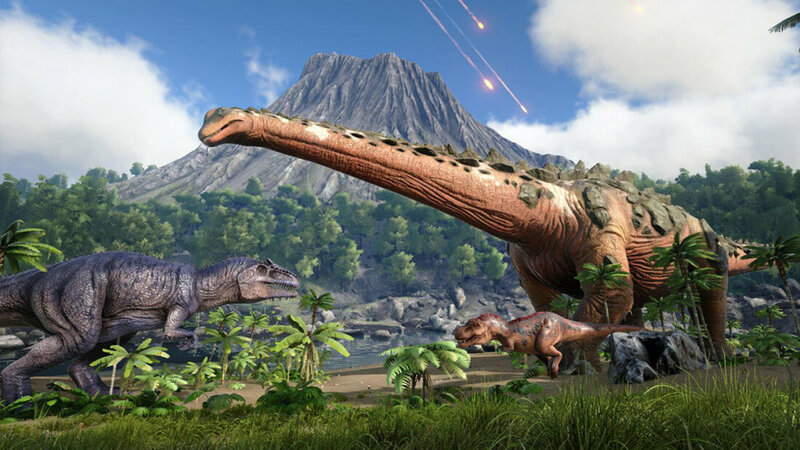 Now it seems Wild Card, the team behind dinosaur-hunting survival game ARK: Survival Evolved, is looking to get in on the mobile action as well - Wild Card has partnered up with fellow developer War Drum Studios to port the open-world game to Android and iOS devices. If you're eager to try the game out for yourself, you may be out of luck. For now, the port is only available to iOS users through a selective closed beta but Android users will be receiving the full game alongside their iOS counterparts sometime this spring. It's unclear whether or not the game will arrive with the Scorched Earth or Aberration DLC, though. We've reached out to Wild Card for clarification. According to the app's official web page, the mobile ARK experience will, for all intents and purposes, be the full game experience. Mobile players will still have access to ARK's "80+" dinosaurs, a massive prehistoric world to explore alone or with your friends and the ability to craft equipment and level up over time. That said, as you might expect the visuals have been pared back quite a bit for mobile devices. Compared to its PC and console counterparts, ARK's mobile version has noticeably muddier textures, downgraded particle effects and a less impressive lighting system. Still, compared to PUBG's mobile version, the game looks surprisingly good. While Wild Card hasn't announced any official phone hardware requirements for ARK's mobile app just yet, it's probably safe to assume you'll need a fairly modern device to get the smoothest gameplay experience.